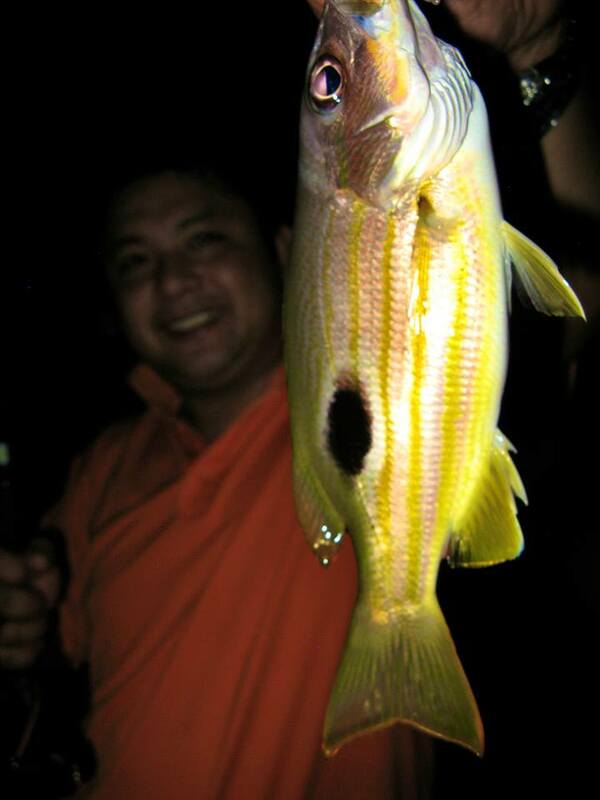 This is a relatively small species of snapper that is abundant throughout the islands. It is often found in schools or pairs around reefs, rocky coast, mangroves, lagoon and even estuaries. We are not quite sure yet the exact species this is due to the fact that there are several species of small spotted snappers that these fish may be. Here are some of the possible species; guttatus, russellii, fulviflamma. Despite their small size these fish are still valued as a food fish. To catch these fish fishermen often use multiple hook bottom fishing rigs with small hooks. Small live shrimp are the preferred bait though many small bait work. Posted on January 9, 2014, in Snapper (Maya Maya). Bookmark the permalink. Leave a comment.